Springville Art City Days is an annual festival filled with fun for the entire family! Beginning on the first Saturday in June and continuing through the first full week of June, Springville celebrates with a myriad of activities for all ages. There are contests, parades, carnival, fireworks, hot air balloons, 5K fun run/walk, outdoor movies, children’s parade and children’s art festival, and more! Most activities are free to the public. Talent Fest Auditions will be held by appointment until May 11. Visit the Talent Festival page for details. Rodeo Queen Contest will be held on April 27 at 10 a.m. If you have additional questions call Kami at 801-360-5978 or visit the Hobble Creek Riding Club Facebook page. Booth Applications are being accepted. Visit the Vendors and Craft Boutique page for details. Deadline is May 1. 5-K Family Fun Run & Walk registration at the early bird price goes until May 19. Price increases on May 20. Grand Parade Applications are being accepted. Visit the Parade page for details. Deadline is May 24. Library Book Sale Motorcycle Show Art Show Where’s Corey? Springville is filled with great places and things to do throughout the entire year! Swim and exercise at the Clyde Recreation Center. Try swimming and fishing at Bartholomew Park, or simply wade at our unique splash pad. Experience the award winning Hobble Creek Golf Course as well as canyon parks with areas for camping and pavilions for reunions or picnics. Known as the Art City, Springville is home to the Museum of Art as well as our state-of-the-art public library. There are numerous statues by various artists located throughout the city. Businesses whether small, regional or national have a place here. Springville has a rich heritage with talented, friendly people plus so much more! 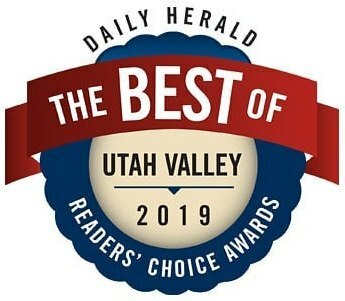 Art City Days is voted “Best of Utah Valley” each consecutive year! Do you have a general question about Art City Days? Call (801) 489-2730 or email us at artcitydays@springville.org.